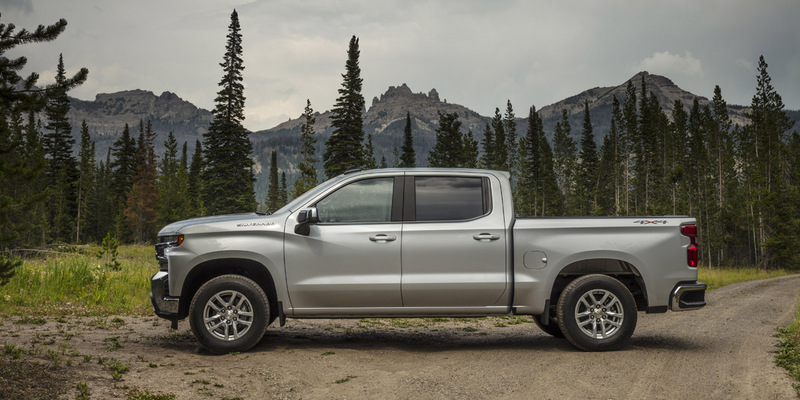 CG Says: The Chevrolet Silverado is redesigned for 2019 on an all-new, larger platform; it gains new powertrain choices and a host of newly available technology features. The updated 420-hp 6.2-liter and 355-horsepower 5.3-liter V8s have stop/start technology and a new fuel-saving Dynamic Active Fuel Management system that can run on two, four, six, or eight cylinders as driving conditions warrant. 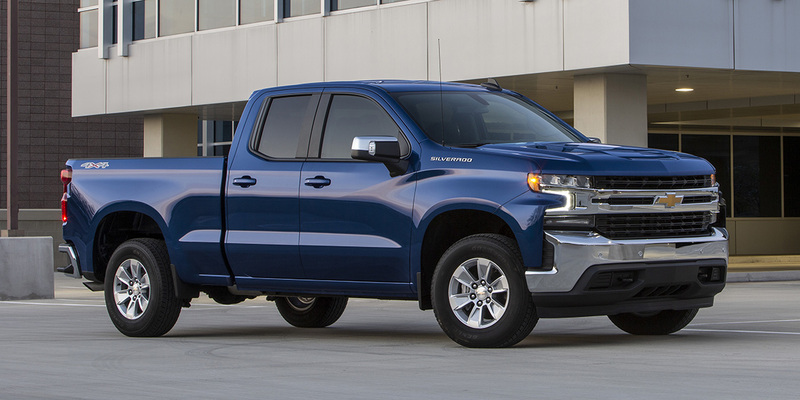 Silverado’s existing 5.3-liter V8 returns and also develops 355 hp, but it has Active Fuel Management that can deactivate only up to half of the cylinders. Also returning is a 285-hp 4.3-liter V6 with Active Fuel Management. Due later in the model year are a 310-hp turbocharged 2.7-liter 4-cylinder with Active Fuel Management and stop/start technology, and a 3.0-liter turbodiesel inline 6-cylinder. The diesel and 6.2-liter V8 have a new 10-speed automatic transmission. The turbo four and the 5.3-liter V8 with Dynamic Active Fuel Management have 8-speed automatics, while the 4.3-liter V6 and the old 5.3-liter V8 with Active Fuel Management have 6-speed autos. Full-time four-wheel drive with a 2-speed transfer case is available. Newly available features include power-opening and closing tailgate, head-up instrument display, push-button start, rearview camera mirror, and a camera that can be affixed to the back of a trailer to aid reversing. Available safety features include forward-collision warning with pedestrian detection and low-speed automatic braking, lane-departure warning, lane-keep assist, blind-spot alert, and rear cross-traffic alert. Initially, only crew cabs will be available, but extended- and regular-cab versions will join the line later. Although the new Silverado is slightly larger than the previous-generation model, it is up to 450 pounds lighter. The cargo bed is now almost seven inches wider between the walls to increase capacity. Carryover versions of the previous-generation Silverado will also be sold for 2019 as the Silverado LD (see separate review). The Ram 1500 might still the best-riding full-size pickup, but the new Silverado also rides quite well; it also has fine handling for a large pickup. With its wide range of powertrains and features, the new Silverado should have something to satisfy any full-size truck buyer.